E-Commerce Checkout. It’s the final step between you and a successful sale. It’s a vital step that every store owner would want to work as expected. No website owner would like if a customer hops out from the checkout page without completing the process. Shopping cart abandonment has been a nightmare for eCommerce stores all around. Especially it has resulted in the failure of many checkout page designs which ultimately revealed that nature of checkout page optimization has changed greatly in the past few years. Today, I am going to pitch some checkout page optimization tips that you should necessarily follow to drive in every single potential conversion on your online store. So, let’s hop in. Nothing can frustrate your customers more than seeing a different product price on the product page, and find out a hiked price when on the checkout page. There could be a number of reasons for this price difference on the product page and checkout page. The inclusion of hidden taxes and additional shipping cost are two of the most prevalent reasons for the same. The only quick fix to avoid this user frustration is to clearly reveal all the hidden charges and additional shipping cost up front. 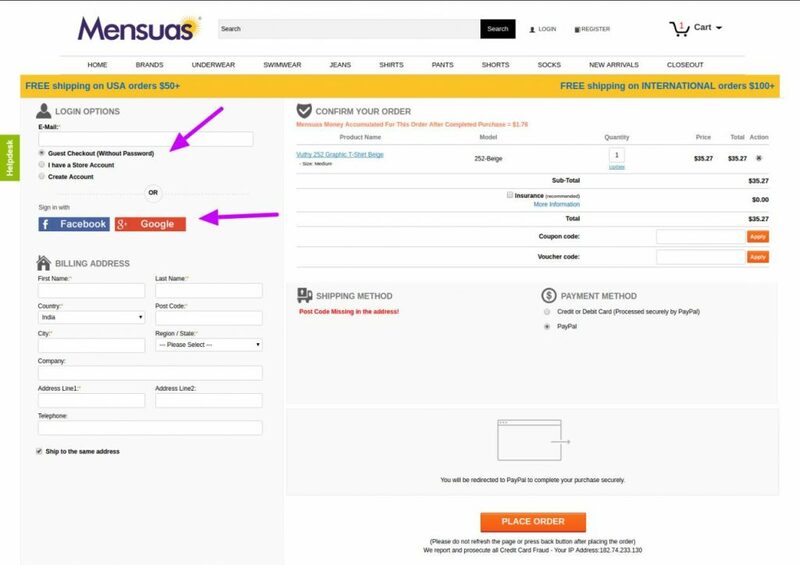 You should display the total order value prediction right on the top of the first step of the checkout page, or you can also show them on the product page itself. You can take a cue from Amazon’s product page which displays all the shipping cost associated with the product. Moreover, it also mentions that you can choose a faster shipping option with some additional shipping cost. In this way, the customer remains informed that he has both the free and paid shipping options. So, it won’t be a surprise for the customers if they find the additional shipping charges according to the options they select. You can also refer to the one-page checkout of ‘Skiviez’ which uses an Ajax based shopping cart to display all the price details on the checkout page. The Ajax-based cart helps the checkout to refresh the price details instantly as soon as any change is made in the product quantity, shipping method, etc. Clearly, not all your sales happen from repeat customers, and out of all the repeat customers, not all of them have a user account with you. And even if they have a user account, not all of them remember their credentials. This is a case of password fatigue when customers don’t feel good when you ask them to log in first before continuing with the checkout. You must clearly understand that there are unlimited reasons for why customers abandon a shopping cart, and necessary sign in and sign up before checkout is a huge contributor in the same. We understand that user accounts are a big asset for the eCommerce stores, which help in providing personalized UX, quicker checkout, better customer follow-up and much more. However, forcing this can have serious consequences to your store’s conversion rate. According to a research done by Baymard Institute on reasons for abandonment, 35 % of shoppers abandoned the shopping carts on the sites which asked for necessary account creation. In the light of this, you may choose to ask for account creation at the last step in the process. 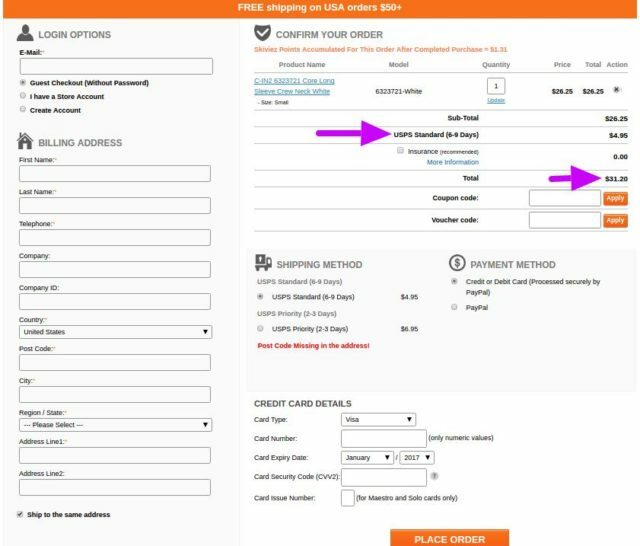 You can also adopt the checkout solutions that automatically register a customer account after checkout is completed. They use the customer information provided in the checkout forms to create the user account with just one click. 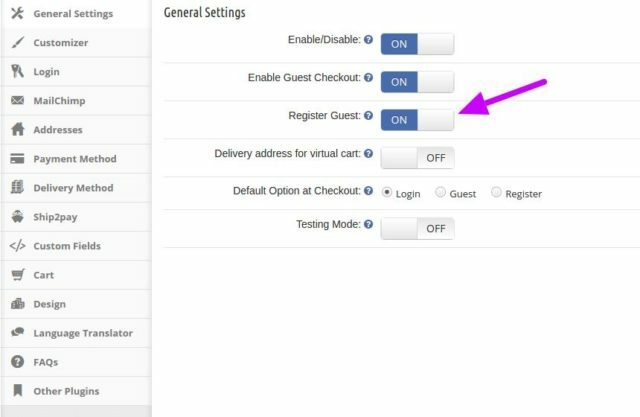 For example, this one-page checkout module for PrestaShop provides an option to the store owners, where they can choose to register a Guest customer without even filling a registration form. It utilizes the information shared by the user in guest checkout. The previous point brings me to my next checkout page optimization tip- Guest checkout. As we now know that account registration is not what you are looking for before the checkout process is complete. Guest checkouts are the best addition and a solution to the problem raised in the previous point. It’s not the extra work needed to create a user account that customers care about. It’s the psychological commitment that customers don’t want to make or aren’t prepared to make in the form of account creation. This is a simple approach that worked very well for the website and I think this approach is free of risk factors and will help you convert any kind of customers on your website. At least you won’t frustrate your customers at the first step of the checkout itself. Most of the times when we design the website forms, we tend to overlook how users will react to the different details asked in the form. We just analyze our requirements and ask everything we need from the customers. This is a simply long, boring, and complicated approach that actually kills your conversion. Moreover, checkout forms often confuse the users by showing unclear labels. A confused customer will never make a purchase from your site, and if your checkout page is adding up fuel to this confusion, you might lose a customer for good. Online shoppers are too much concerned about the safety of the details they share with the eCommerce sites. For this reason, alone many shoppers choose Guest checkout over registered checkout. This just about the personal information. Assume the situation when the concern includes the safety of the online transactions. Customers tend to shop with the sites which are secure and maintains the privacy of the users. You can find so many ways to make your checkout page conversion friendly, but these five tips are very crucial as ignoring any of them would be an anti-conversion step. Use these tips to make your eCommerce store stand out from the rest of your competitors and drive better conversions with your well-optimized checkout page. Author Bio: Ethan Roy, a technical content writer by Profession. With years of experience on various eCommerce platforms (Magento, PrestaShop, OpenCart, Shopify), he has a lot to share with the readers. Currently working as Technical Content Writer at Knowband. Product Designer Tool: An Intuitive Approach to Offer Exceptional User-Experience. Hosted vs Self-Hosted eCommerce: Which is Right for You?